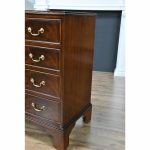 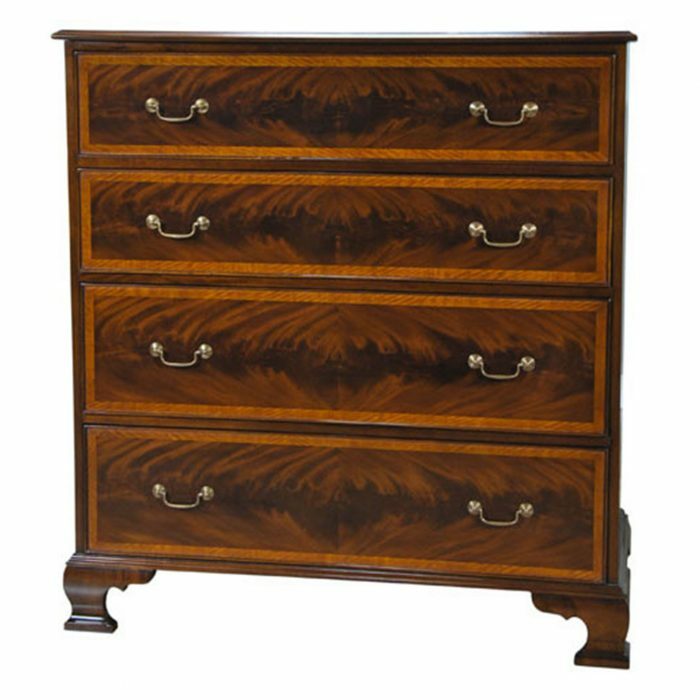 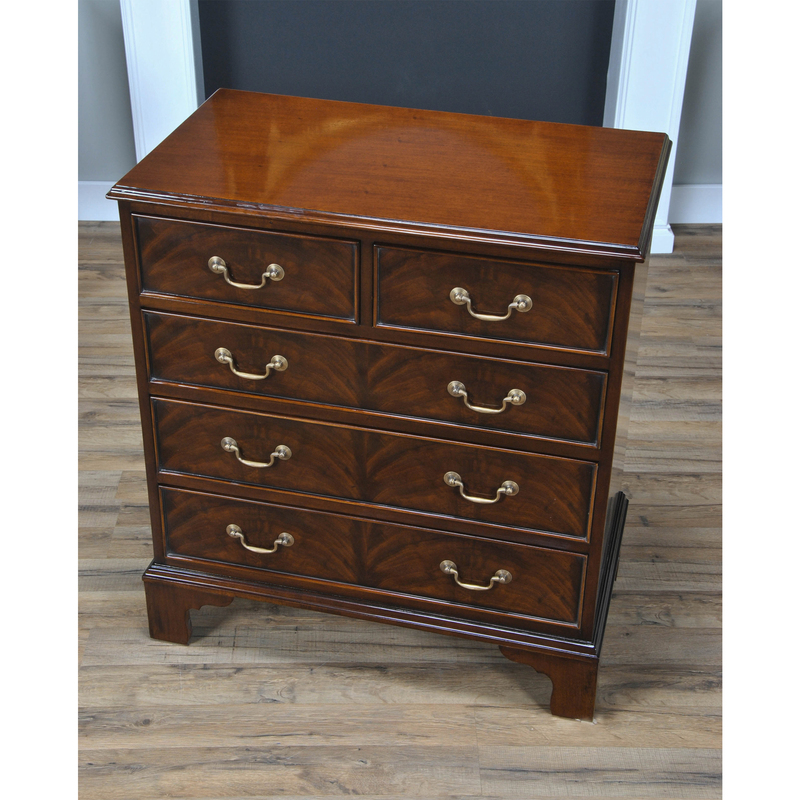 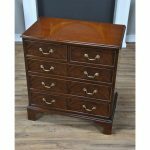 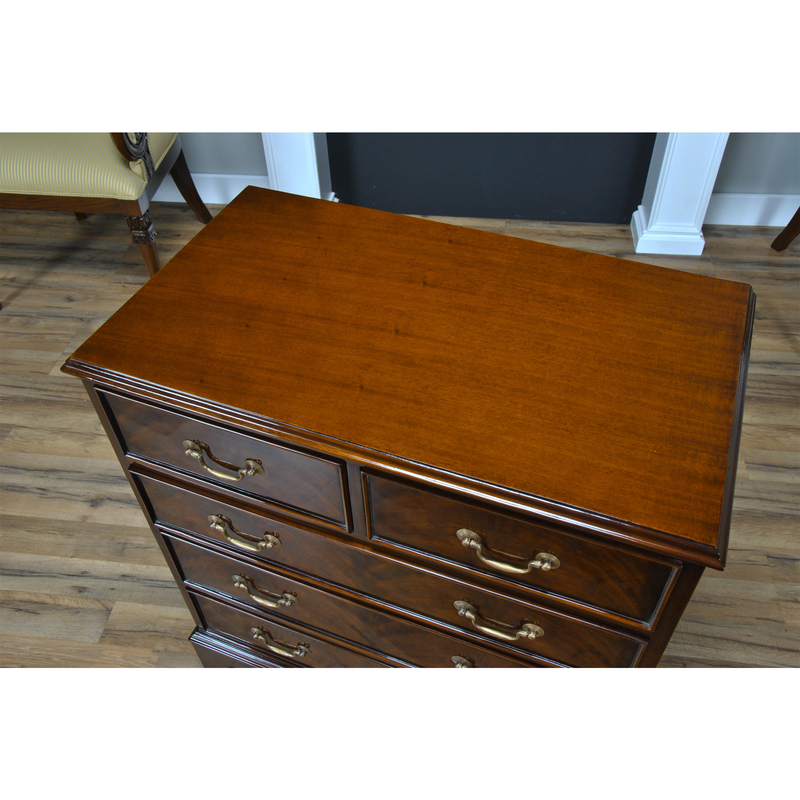 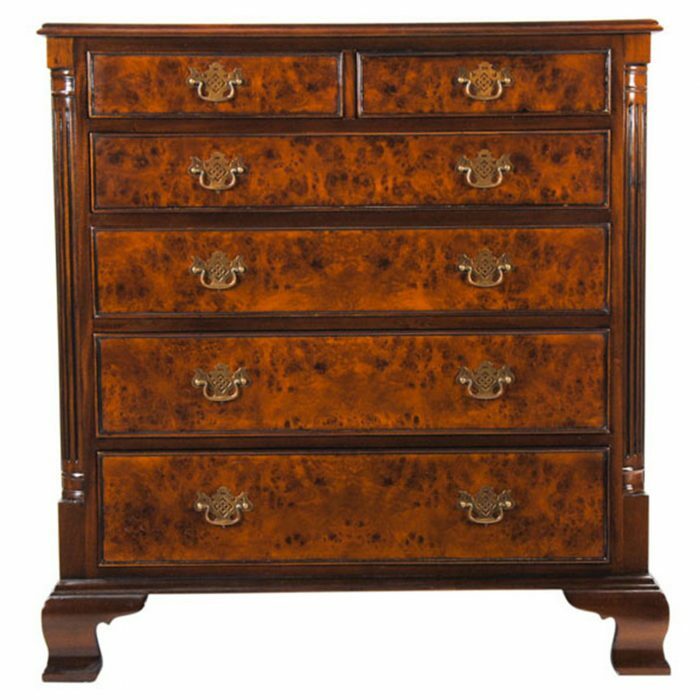 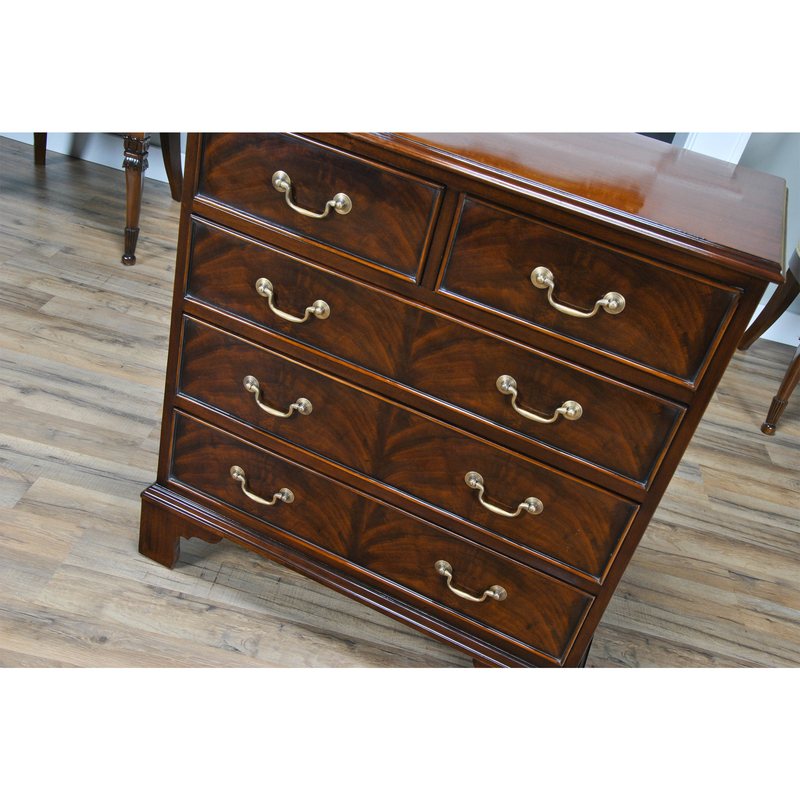 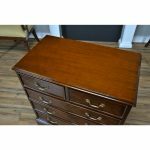 Based on an antique English chest of drawers this high quality Mahogany Bachelors Chest from Niagara Furniture is both versatile and attractive in appearance. The shaped top rests over the two half width drawers, over top three full size graduated drawers all constructed with dovetailed construction. 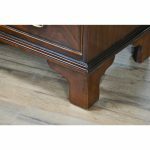 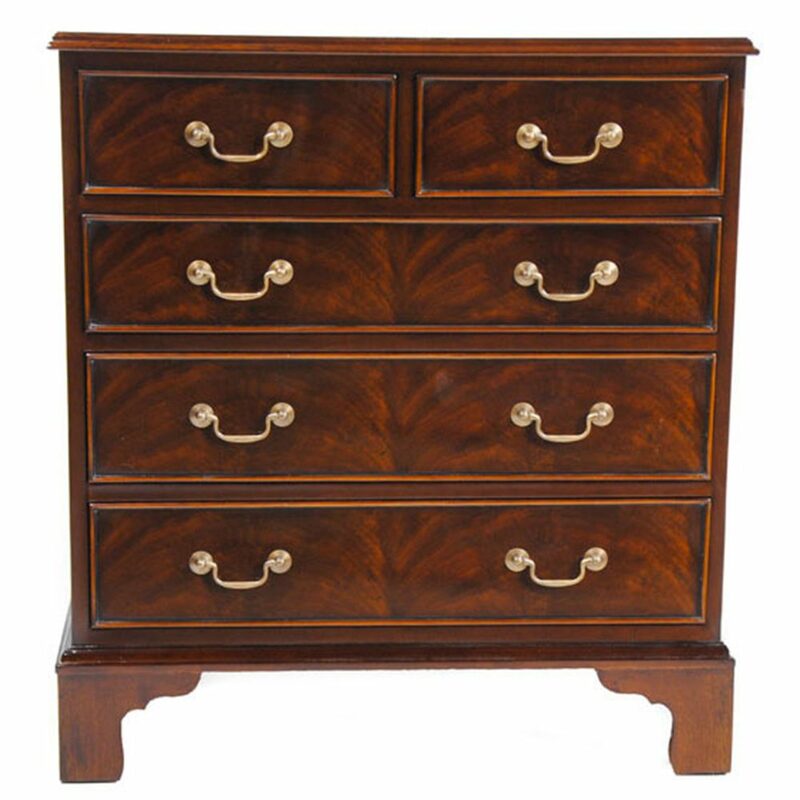 The entire Mahogany Bachelors Chest supported on tall bracket feet. 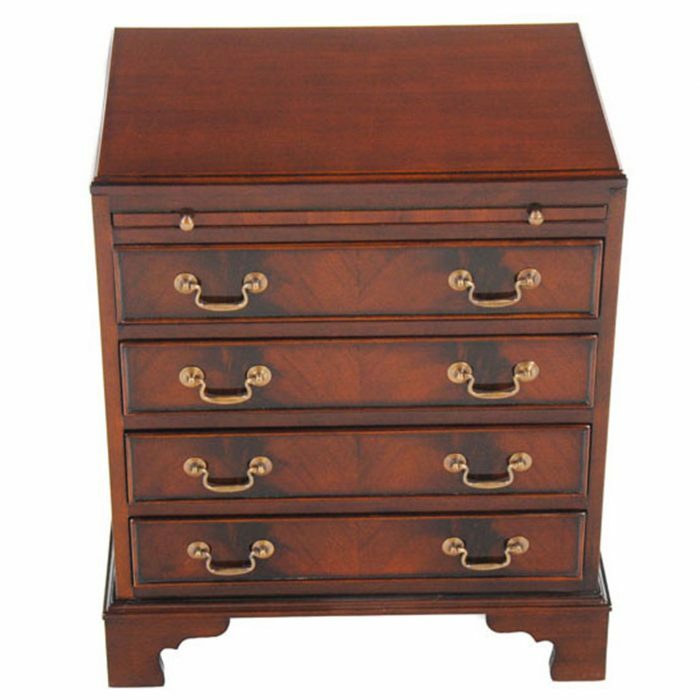 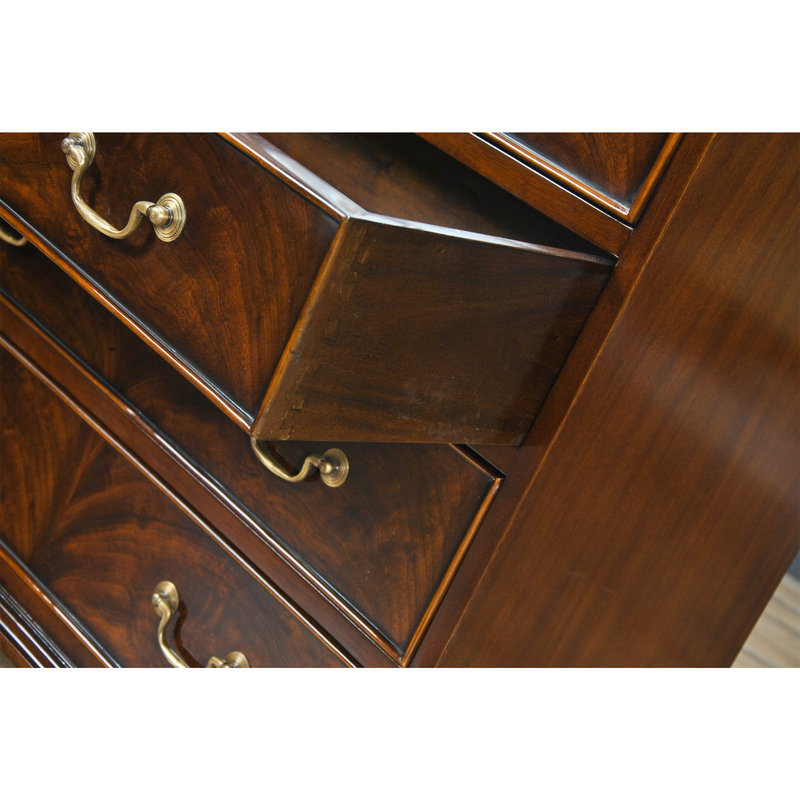 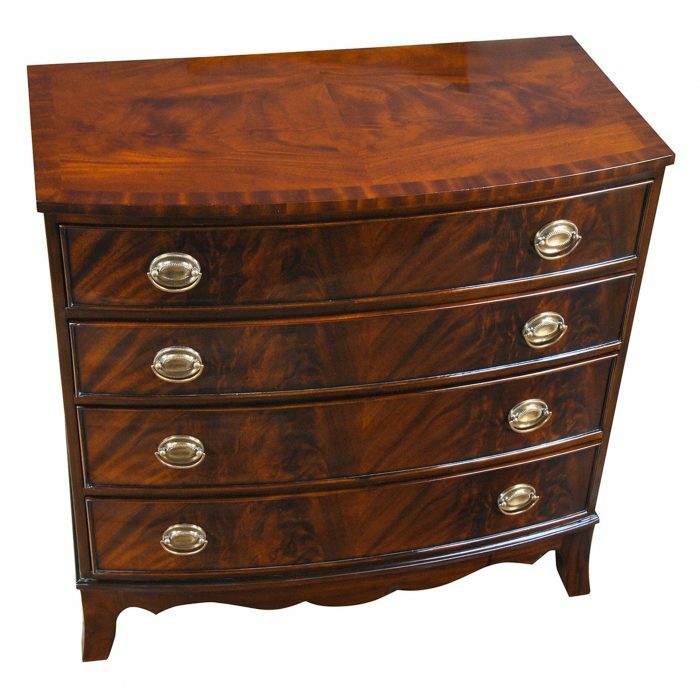 Beautiful veneers and mahogany solids combined with brass pulls give the chest a stunning appearance.